Power Price Protection: Is it worth it? If you feel like the price of electricity has been going up and up, it’s not just your imagination. 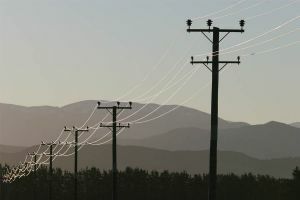 Over the last 28 years, the price of power has increased 79% for Kiwi households, according to the New Zealand Government’s Electricity Price Review. With energy prices going up year-on-year at rates higher than inflation, price protection or price promises by power companies can be enticing. These electricity retailers offer a fixed price for power over a set term, such as no increases for two years. Most deals come with a requirement for loyalty until the term finishes. Will power prices go up or down? Predicting whether electricity prices in New Zealand will go up or down is a lot like predicting the weather. That’s because part of the pricing does depend on the weather, with 85% of New Zealand’s power generated from renewable energy. Hydropower provides around 57% of all electricity generation in New Zealand. To fill the hydro dams, a build-up of snow and good rainfall is required, especially in the eastern area of the South Island. If there is a drought in this area, power generation prices can go up. Wind farms and solar power also rely on favourable weather conditions, but they make up just 5% and 0.2% of generation, respectively, so are less likely to have an impact on prices. Power prices are also impacted by supply and demand. This means if it is a cold winter and everyone is trying to heat up their homes at the same time, prices could go up. In the long term, demand for power could continue to increase as New Zealand’s population grows and the economy moves from fossil fuels to electricity. Conversely, advances in solar panels and batteries will allow more consumers to become generators on a wider scale. The Electricity Price Review predicts prices won’t necessarily go up much, if at all. However, historic trends have shown power prices don’t go up and down like mortgage rates: they tend to stay flat if they are not going up. What are the benefits of a price promise? The biggest benefit of electricity retailers’ price promise is the security of knowing your power unit rate will not increase. However, it is important to note this does not mean your power bill will not increase: it will still fluctuate according to how much power you use. Most power companies also have exemptions to their promise, such as if GST goes up. A guaranteed price means you will not have to fork out more money for your power bills next year. This gives good security, which is especially good for those on fixed incomes, including pensioners. As most price protection plans require a commitment from the customer, they are ideal for consumers who are stable, don’t switch power companies often and want to stick with the same retailer. Are there drawbacks to price protection? Like all deals, there are pros and cons to signing up for a fixed price. Most electricity retailers require a commitment from the consumer for the price promise – often one or two years – and not everyone is prepared to commit this sort of loyalty. You want to be sure you are on the best plan for your home before you commit to anything. While power prices are unlikely to go down, increasing competition in the electricity sector means new deals pop up all the time. If you are locked into a plan with a price promise, it means you are not able to take advantage of a plan that might suit you better and could be cheaper. In some instances, being on a price promise is more expensive than a variable pricing plan – with some electricity retailers admitting their fixed rate is offered at a slightly higher price in return for price security. If you are prepared to closely monitor your electricity use and adjust the amount you use according to prices at the time, you could be better off with a spot price plan or something more flexible than a fixed price promise. Price protection plans often come with a number of exceptions, so your prices could still rise if, for instance, line charges increase. You could also face an unpleasant price increase at the end of your promise period. Which power companies offer price protection? 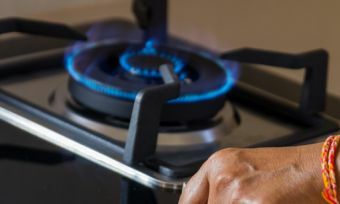 Energy Online has a 12-month Price Promise, where customers are kept on the deal they signed up on, for at least 12 months. Contrary to some other companies, Energy Online does not require customers to sign up to a fixed term contract and there are no exit fees if you leave. Pulse Energy has price protection, which locks in the energy rate for two years. This deal excludes charges relating to the network services, retailer services, metering and the Electricity Authority Levy. The price protection continues if moving house, as long as you stay with Pulse. Pulse Energy does not lock you into a long-term contract but 30 days’ notice is needed or a $150 early termination fee is charged. Meridian Energy offers its customers a choice of fixed rate pricing or variable pricing. The fixed rate fixes the retailer and network charge for the term of the contract, although Meridian admits customers will pay a bit more for the certainty. Customers must sign up for a contract of up to three years. Sweeteners are thrown in for customers who sign up for 12 months or more, including a $200 welcome credit or $219 Nest Protect smoke and carbon monoxide alarm. 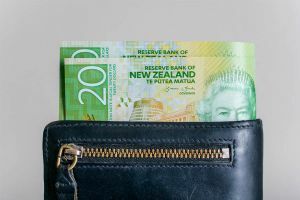 Nova Energy offers Kiwi families the choice of a Home Advantage Plan where prices stay fixed until 31 March 2020. Exemptions to this fixed price offer include government or regulatory changes – such as Emissions Trading Scheme changes – or incorrect pricing. Customers must sign up until 31 March 2020 but the early exit fee (between $50 and $150) is based on how long you are with Nova before you change. The term also finishes if you move house. Customers get a $150 account credit for signing up. Mercury Energy offers Fixed Price Plans, where power prices are locked in for two years. Customers must sign up for two years for both electricity and gas, or face an early termination fee of $150. The fixed price does not cover GST or the retailer’s service fee. Genesis Energy has several fixed pricing plans which come with added bonuses. Customers who sign up for 12 months will get fixed pricing for a year and can either get a $100 credit, 500 bonus Fly Buys points and double Fly Buys, or a $150 credit. Customers who sign up for 24 months will get 24 months’ fixed pricing, along with a $200 credit, 1000 bonus Fly Buys points and double Fly Buys. The bonuses increase if natural gas is added. An early termination charge of $150 applies. Contact Energy has a number of fixed price plans. Customers can sign up for a one year fixed term, with a fixed rate until 30 November 2019. Customers can also sign up for fixed rates until 30 November 2020, with bonuses of a $150 discount or fuel discounts. Early termination fees of $150 apply. Contact also offers a plan which has fixed rates until 31 July 2020, a discount of up to $200 over two years but no break-up fees. The fixed prices stay the same unless there are changes to taxes or levies, or the information is incorrect. Monthly discounts also apply. Shop around before you sign up. You could be committing to an expensive plan for one or two years when there could be more budget-friendly options available. Find out what the terms and conditions of your plan are, including what happens if you move. If you are not sure about committing to a fixed term, consider some of the plans which offer no exit fees – that way you can get security without being locked in. Know when your fixed price plan expires and get ready to shop around again when that happens. Don’t assume the retailer you are with will always be the best for you. What are the best gas plans for big families?